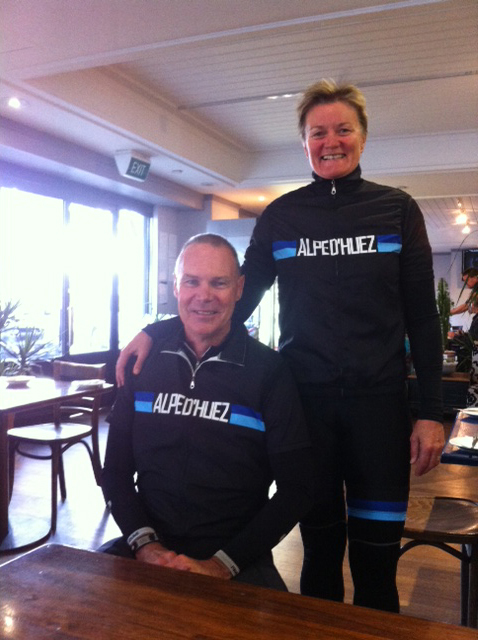 Clare and Alan were recently with More Than 21 Bends Alpe d’Huez and Mont Ventoux tour. They were also on prompt d211 hire bikes and kitted themselves out in our Alpe d’Huez cycling gear. A couple of cycling caps are in the post for this great photo.